The present-day cybercriminals might mix up the malicious with the legitimate to achieve their goals. Browser hijacking, for instance, often involves unauthorized activity that makes victims recurrently visit one of the major search engines. This is the case with the Bing redirect virus, a strain that drives traffic to bing.com. Read this tutorial to learn what’s the point of such a tactic and how get rid of the pest if infected. First and foremost, the company behind the Bing search provider is in no way related to the malicious entity in question. They run an absolutely benign service trusted by millions around the world. The problem is, the engine is being abused by a group of black hats who have been conducting a massive browser hijacking campaign for many months on end. The virus modifies one’s web navigation settings without asking for consent and thereby forwards all searches to bing.com. This perpetrating program is typically encapsulated in the form of an extension or plugin that exhibits cross-browser functionality. It means that users who prefer Chrome, Firefox or Internet Explorer will be affected in basically the same way. There is one more flavor of the Bing redirect virus. 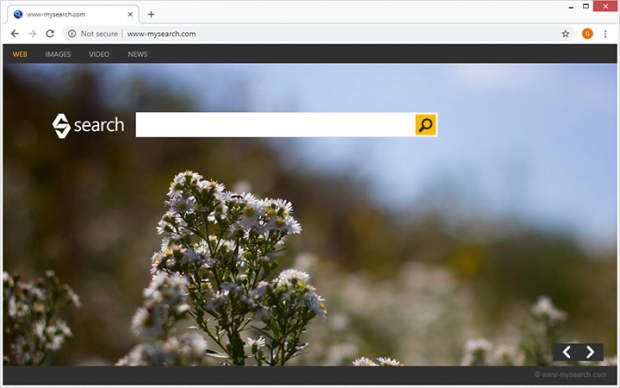 It can act as a PUP (potentially unwanted program) that reroutes users’ traffic to a landing page resembling Bing. One of the numerous examples is the www-mysearch.com hijacker. This aggressive junkware makes victims hit the corresponding site that’s a copycat of Bing but the URL is entirely different. The search feature embedded in the page, though, leads to results at bing.com. This process is like an endless loop whose only destination is Bing. But why on earth are the crooks busy doing that? The answer comes down to traffic monetization and user tracking. The threat actors lay their hands on multiple users’ Internet settings, change them forcibly by leveraging a piece of malware, and redistribute the intercepted traffic while displaying some sponsored content along the way. Another benefit for the malefactors is that they surveil the victims’ online interests in order to either generate targeted ads or simply sell this information further. No matter which variant of the Bing redirect virus you may have encountered, it is distributed in a uniform manner. The contagion is a trojanized application that appears regular and harmless on the outside. In fact, it may be safe per se, but the entity promoted alongside it is going to cause trouble. 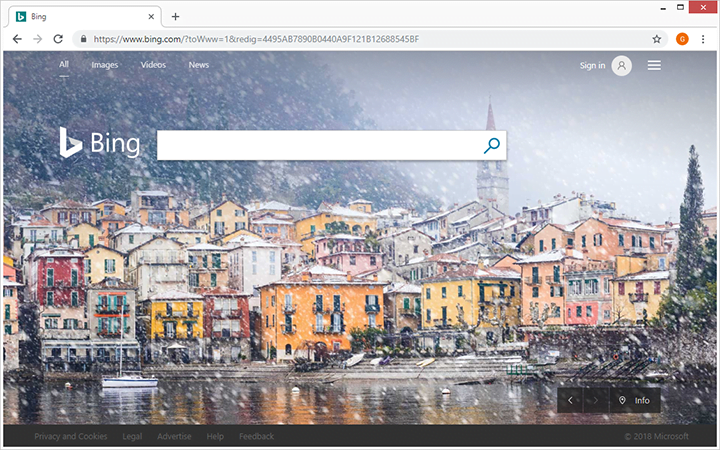 One of the commonly reported booby-trapped apps of that kind is the Citypage.today extension, although there are many more freeware samples that, when being installed, recommend making Bing the default search engine and homepage in all browsers. Therefore, any setup wizard should be treated with caution, especially its quick (recommended) install option. You should always go for the advanced, or custom, workflow that shows what’s being additionally pushed through and allows you to uncheck the fishy extras. Anyway, in case the Bing redirect virus is on board your computer and wreaking havoc with the browsers, the next thing to do is remove it. Doing so isn’t a trivial thing. It scatters its components all over the system to make the cleanup cumbersome. The following steps, though, will help overcome this trickery and make your browsing defaults the prerogative of no one but you again. The extermination of the Bing redirect virus can be efficiently accomplished with reliable security software. Sticking to the automatic cleanup technique ensures that all components of the infection get thoroughly wiped out from your system.